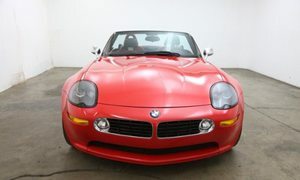 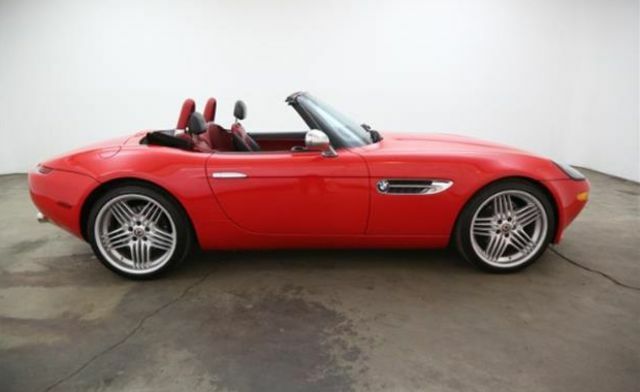 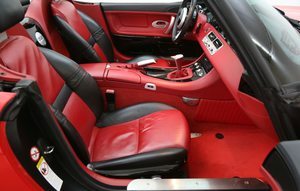 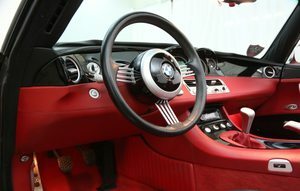 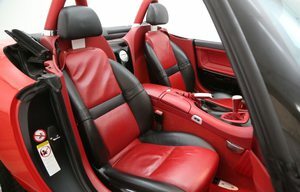 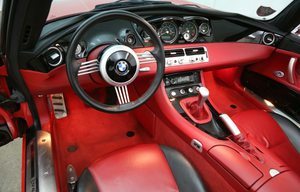 , 2001 BMW Z8 with 2 tops This iconic and highly sought after 2001 BMW Z8 with 2 tops is 1 of 77 red with sport red and black interior examples produced worldwide. This is a beautiful color combination. It comes with a clean CarFax and is equipped with an M powered 4.9L V8 engine with a 6-speed manual transmission, air conditioning, Alpina wheels, power windows, and power seats.